While the Radiance Collection of dinnerware by Lenox celebrates all four seasons, swaths of burlap and fabric in sophisticated shades of aubergine and truffle nudge the mood in the direction of autumn. 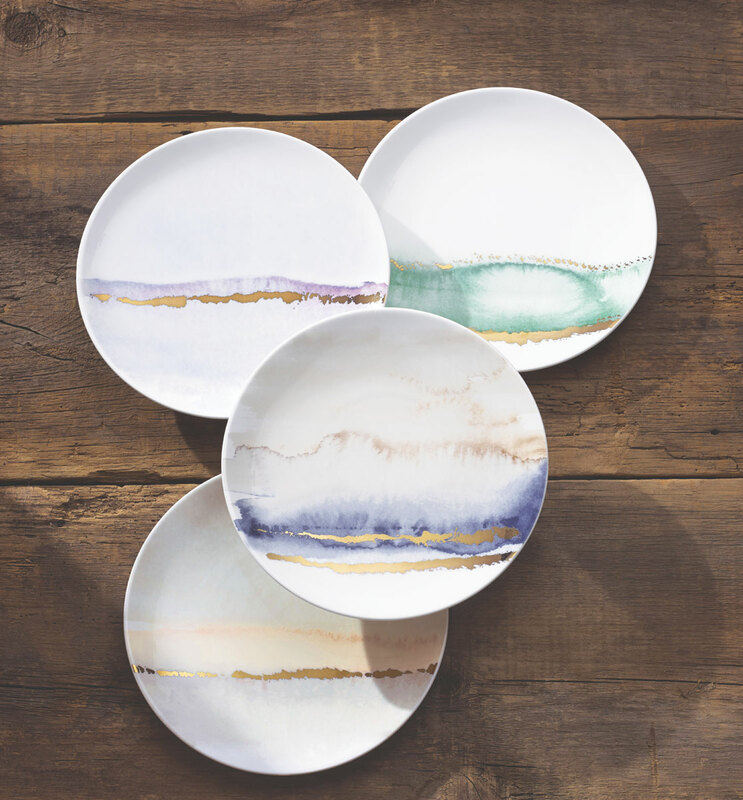 DINNERWARE | The design and colors (soft turquoise for spring, cool purple for winter, indigo for summer and warm terra cotta for autumn), all with gold accents, were inspired by the early morning sun just breaking the ocean’s horizon. FLATWARE | The electroplated gold outline on the stainless steel Medford Gold flatware, also by Lenox, complements the gold accents on the dinnerware. 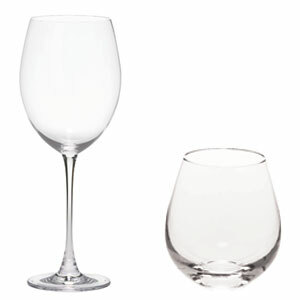 GLASSWARE | Simple, elegant glassware from the company’s Tuscany Classics collection is European lead-free crystal. Whether you’re hosting the last casual get-together of summer or the first dinner party of autumn, create a table setting that pays homage to the changing year. As summer fades into autumn, the seasons change in a bigger way than simply cooler weather. Attitude and activity change also as the laid-back days of August shift into higher gear when school and social commitments pick up pace in September. It’s the perfect time to set aside an evening to gather friends to celebrate the change of seasons, and the Radiance Collection by Lenox is tailor-made for the occasion. 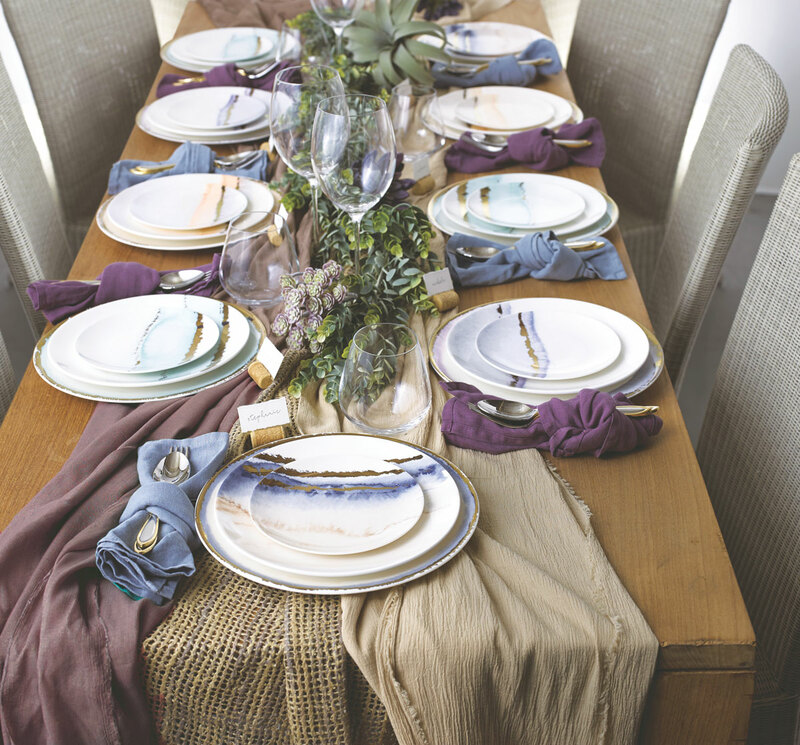 Inspired by the ocean in all four seasons, Tim Carder, Lenox’s chief designer, created china dinnerware patterns in soft turquoise for spring, indigo for summer, warm terra cotta for autumn and cool purple for winter, all with gold accents. The designs recall the magical time when the early morning sun just breaks the ocean’s horizon. Arrange a centerpiece of eucalyptus, succulents and other greens down the center of the table, intertwined with burlap and softer fabric in sophisticated autumn shades of aubergine and truffle. The dinnerware, made in the United States, is dishwasher- and microwave safe; a four-piece place setting is $230. Drinks are poured into Lenox’s Tuscany Classics Simply Red Tumblers and Tuscany Classics Bordeaux glasses. The European lead-free crystal is dishwasher safe and break resistant. Each style is available in sets of four for $54. 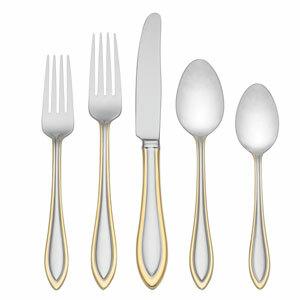 The Medford Gold flatware by Lenox is stainless steel trimmed in electroplated gold and is dishwasher safe and tarnish resistant. A 20-piece set (four each of dinner forks, dinner knives, salad forks, dinner spoons and teaspoons) is $150.